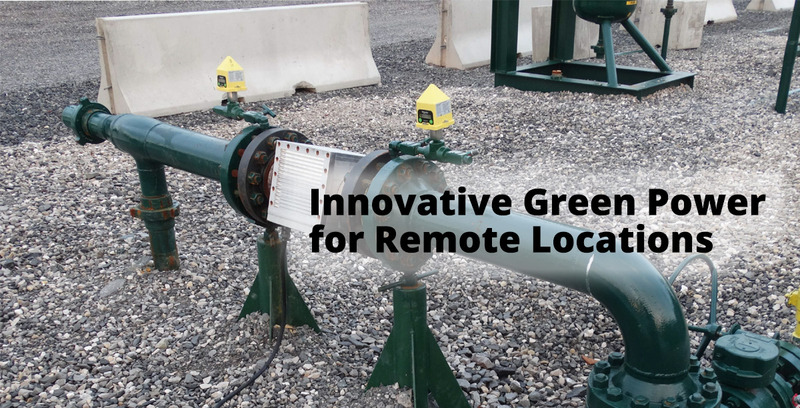 Lightning Master’s innovative In-Pipe Turbine Generator (IPTG) system is designed to provide electricity at isolated locations lacking commercial power. It generates power using the flow of gas through the pipeline without combustion of fossil fuels. Magnetic flux generated by the rotation of magnets within the pipe produce electric current in coils mounted around the exterior of the pipe. The generator outputs through an umbilical cable to its control box that may be remotely mounted conveniently near the site batteries and SCADA system. 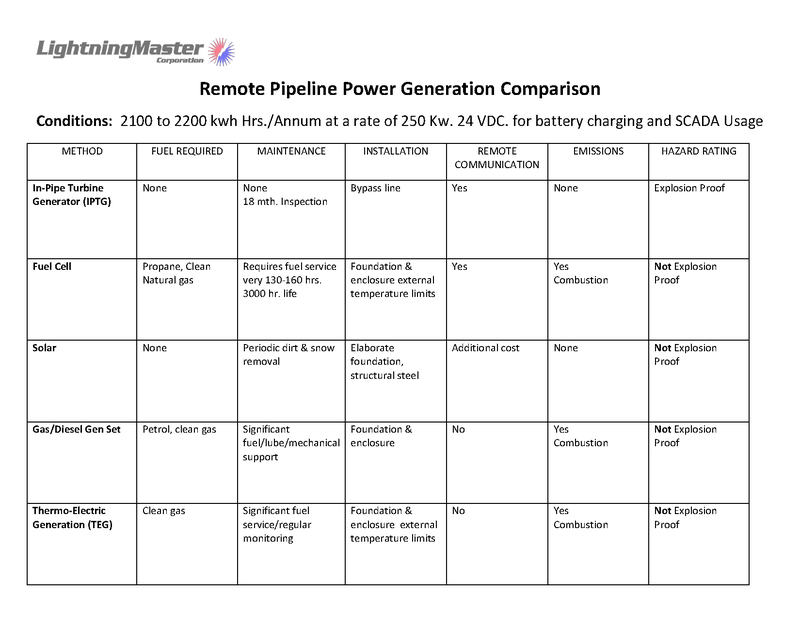 The generator output may be monitored remotely through the existing site SCADA system or a dedicated monitoring system. The IPTG overcomes the drawbacks of solar panels, thermal-electric generators, diesel generators, combustion turbine generators, and wind. It is less expensive, requires less maintenance, is resistant to damage, and burns no fuel, reducing the site environmental footprint. The In-Pipe Turbine Generator is designed to generate power 24 hours a day and be maintenance-free for extended periods. IPTG operation and output may be monitored through the existing site SCADA system. Established in 1984, Lightning Master® is a global, full service, static solutions, lightning and surge protection manufacturing company. We serve a wide range of customers including oil, gas, chemical and other industrial facilities. Our complete line of products, systems and consulting services are backed by our worldwide customer service. Our track record of success in the Americas, Asia, Africa, Europe and the Middle East has established LMC as a global authority on lightning and static protection.